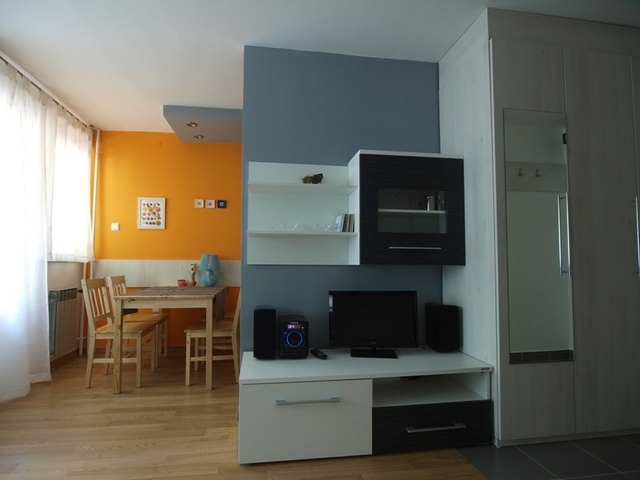 The apartment is designed to provide a comfortable stay for 2 adults with one or two children, or alternatively for 3 adults. 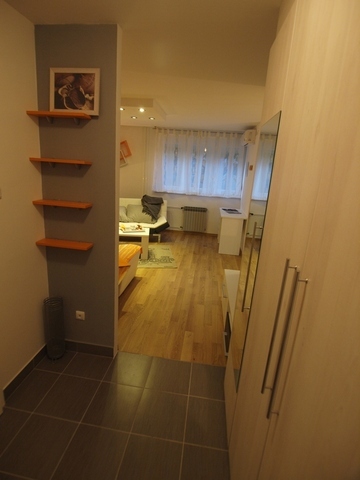 Since it is categorized as a studio apartment, there is no separate bedroom. 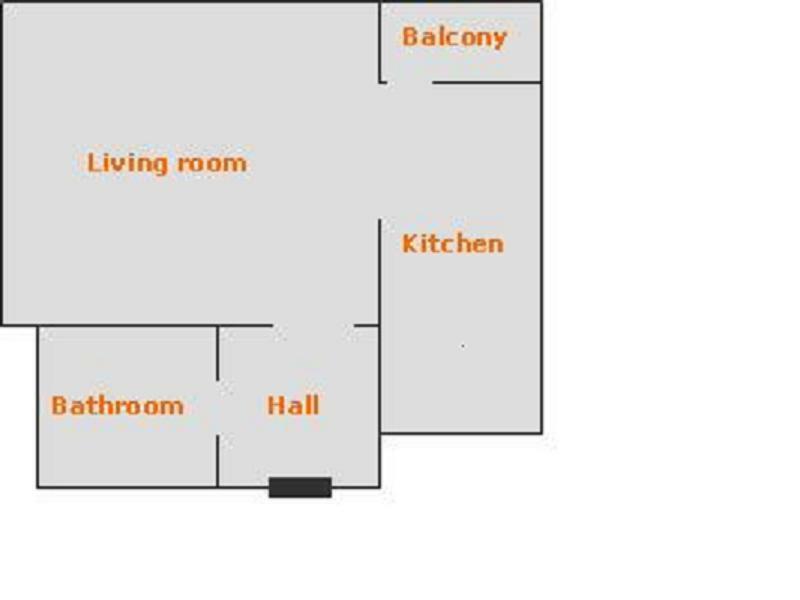 In the living room there is a comfortable 3-seater sofa that can be extended to a full size bed in the evening for 2 adults. Additionally, there is another sofa (also extendable) for a 3rd adult or for any children. 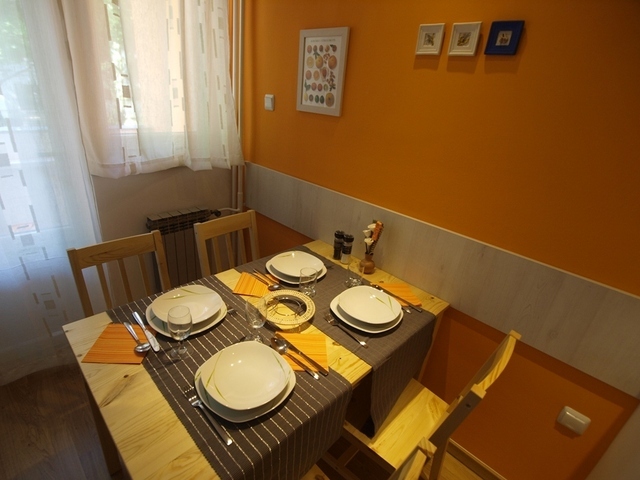 Adjacent to the kitchen there is a dining corner with a 4 person dining table. In the kitchen you'll find all the neccessary cooking-ware and utensils. 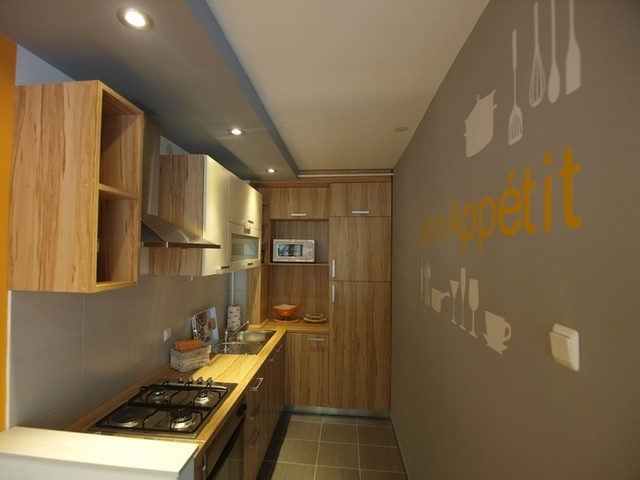 There is also a fridge, freezer, conventional oven and microwave oven. Whilst there is no food or ingredients in the kitchen, you will find coffee & tea making facilities. And in any event, an excellent supermarket is just around the corner to cover any food or beverage needs that you may have! 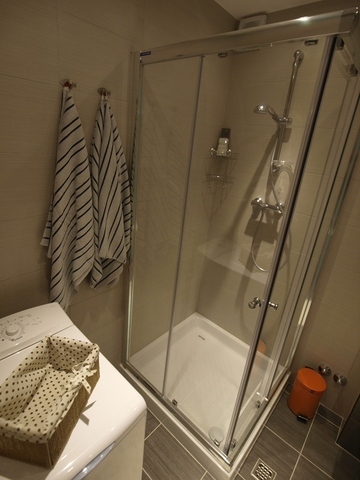 The bathroom is equipped with a modern designed shower cabin, and lavatory. There is a washing machine too, along with an iron and ironing board - especially convenient if you are planing a longer stay. Fresh clean towels are provided on your arrival along with bed linen. We can also change the towels & linen more frequently on your request. In entry hall you'll find a large storage cupboard in which to store your luggage and clothes. In a separate part of the cupboard there is a vacuum cleaner and cleaning implements. Kindly note that you are not required to clean the apartment during your stay. For your convenience we also provide a safe with electronic lock for your valuables. 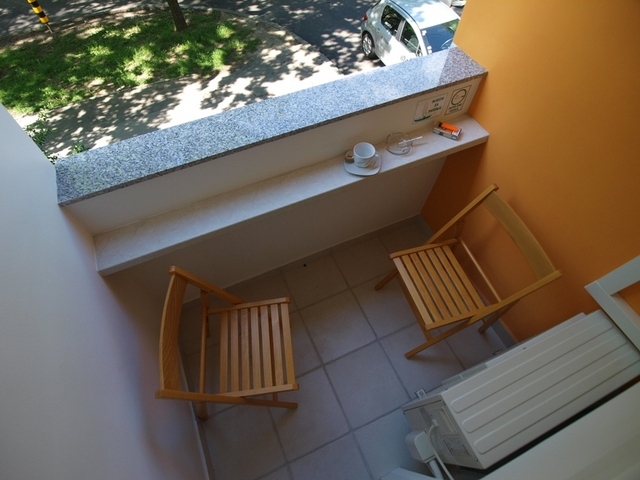 From the dining corner you can exit to the balcony to enjoy some fresh air or maybe a cigarette if you are a smoker. Smoking is not permitted inside the apartment, so we have set up a smoking corner on the balcony should you require it. We provide free wireless internet connection, TV with 40+ multilanguage channels, radio and CD/mp3 player unit with USB slot. On the shelves in living room you'll also find choice of books (in english) and a handful of various tourist leaflets on Zagreb and other parts of Croatia. For the children, we can provide various toys, board games or playstation on your request.